Hi! 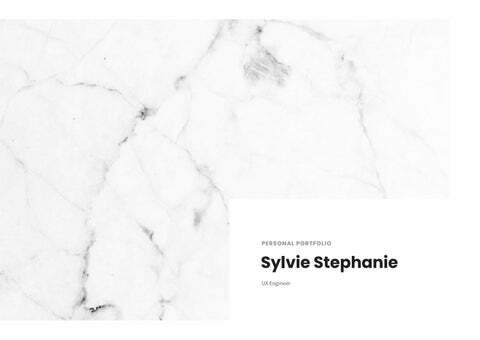 I’m Sylvie, a designer-developer hybrid who enjoy building things that live on the internet. I’m passionate about building thoughtful and impactful experiences. My mission is to help bring more beauty, creativity and good ideas into the world through web and mobile design that connects to millions of users and leave a positive impact to the society. I’m still learning every single day to ensure I can deliver the most effective solutions to the ever-changing user preferences and expectations. During my professional career, I have learned the importance of empathizing with the end users and placing myself in their shoes in order to understand their behavior and cultivate their trust. I personally enjoy working on projects that require both strategy as well as visual design. I’m always hungry, ambitious and love to provide the best experience for the users. interesting projects on a daily basis. I enjoy crafting user-centric, delightful and engaging experiences. sistently across a wide range of browsers and platforms. •	Subscription Subscription feature help users to reach their investment target by setting a nominal and schedule as needed. Funds will be routinely channeled to mutual fund balances. Users can also change settings and stop their subscription at any time. •	Referral Referral program allows users who already have a Tokopedia ReksaDana account to get a bonus by recommending Tokopedia ReksaDana to their closest people. 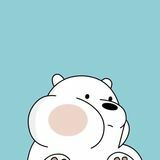 •	Subscription Similar to Subscription feature on Tokopedia ReksaDana, users can buy gold automatically with specified time through various of payment methods. There are 3 levels of membership available in Tokopedia Emas. The higher the level users have, the more benefits users get. Users can upgrade membership level by filling out online KYC form or searching for the nearest Pegadaian office to do offline KYC. Tokopedia Saldo Prioritas is a whitelisted product targeted to loyal Tokopedia merchants. Saldo Prioritas allows Tokopedia merchants to withdraw part of the funds from their sales transactions before the buyer confirms receipt of the item. After merchants enter delivery receipt, they can immediately withdraw a certain amount of money according to the predetermined percentage of their sales, so that it can facilitate merchants cash flow. When the buyer confirms receipt, merchants will receive the remainder of their sales that has not been withdrawn at the beginning. Many corner cases; have to be extra detail to check all the cases from disbursement to recovery. maximum withdrawal 80% from total sales. Tokopedia Marketplace or OVO merchant. receive the gift card via e-mail or SMS. •	Digital Gift Card Sent directly to the recipient’s email or phone number. •	Physical Gift Card Print the gift card (PDF version) & give it directly to the recipient. •	Upload and Edit Users can upload their photos and edit it with crop and rotate feature to get the best card design. Celengan (Jenius Hackathon 2019) Celengan is a submission idea for Jenius Hackathon 2019. Based on 2017 GoBankingRates survey found that most “young millennials” (18-24 years old) only have less than $1000 in their savings accounts. Thus the aim of Celengan is to educate the importance of saving to children (age less than 17). Celengan’s main idea is to cooperate with schools canteen because we believe that’s where children make their first payments. Instead poking the fintech giants, the payment is integrated with existing e-wallet payment services such as OVO, GoPay and Dana. their children as well as review their task and give rewards.